Europe’s best low-cost airline Norwegian is continuing its rapid expansion at Manchester Airport by launching two new low-cost routes to the Canary Islands this winter. Holidaymakers can now enjoy soaring temperatures at fares as low as £39.90 for some guaranteed winter sun. From 30 October, brand new direct twice weekly flights will take off to Gran Canaria for the winter while nonstop year-round flights to Tenerife launch from 1 November. The flights will be serviced by brand new 186-seat Boeing 737-800 aircraft offering all passengers free Wi-Fi and live TV on board as the airline has taken delivery of 11 new 737-800 aircraft this year alone. 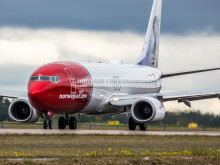 Norwegian, which has already launched three new routes from Manchester this year, will also continue its popular summer flights to the Spanish hotspots of Malaga and Alicante into the winter. 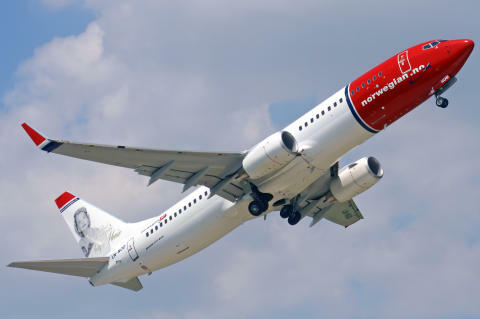 The new routes to the Canary Islands together with existing services to Malaga, Alicante, Oslo, Stockholm and Stavanger means Norwegian will have its busiest ever winter from Manchester, offering more than 65,000 seats and 17 flights per week. In June, Norwegian introduced new routes to Malaga and Alicante alongside a summer-only route to Barcelona which launched in April to add to its growing route network of business and leisure destinations from Manchester. Europe’s third largest low-cost carrier offers the UK’s only direct low-cost flights to the U.S. with fares available from £135 in economy and £399 in Premium to destinations including Boston, Las Vegas and Oakland-San Francisco from London Gatwick.